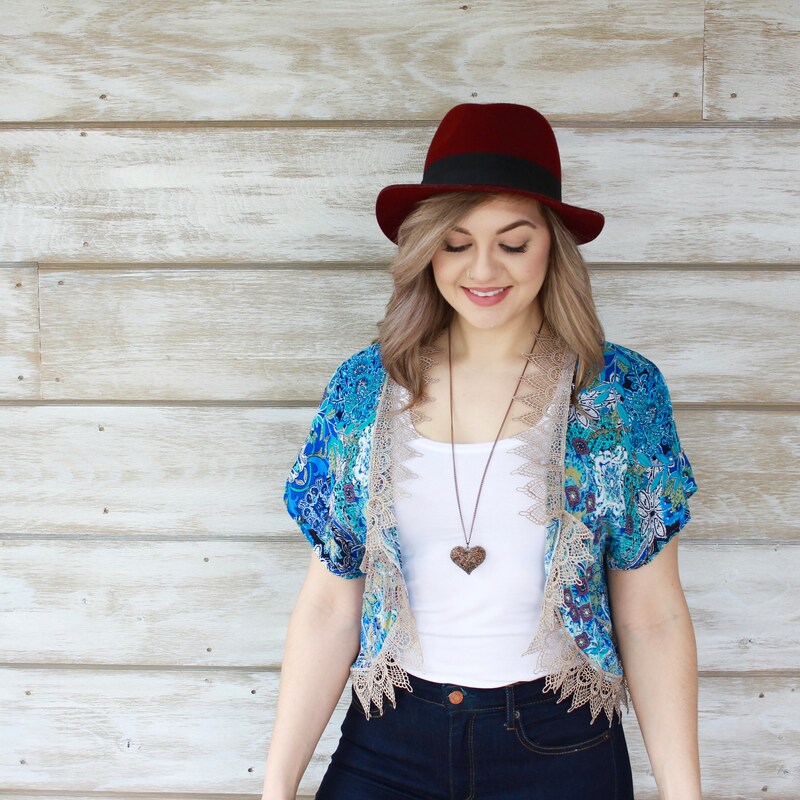 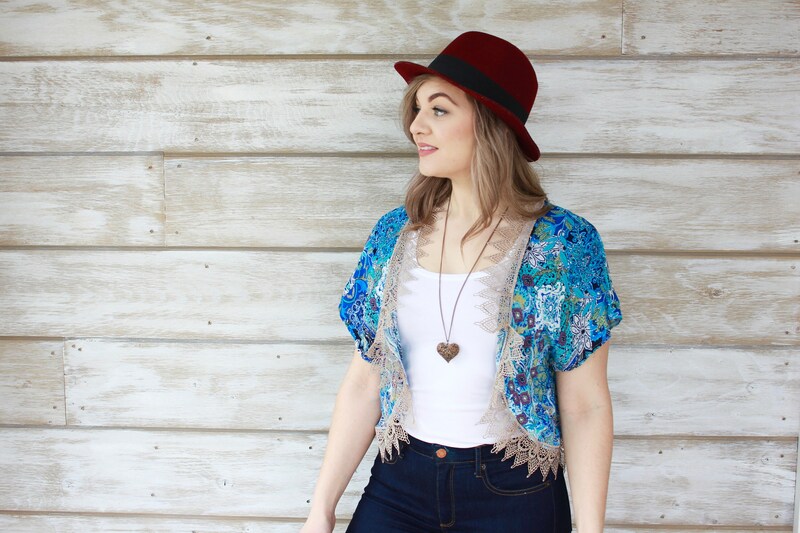 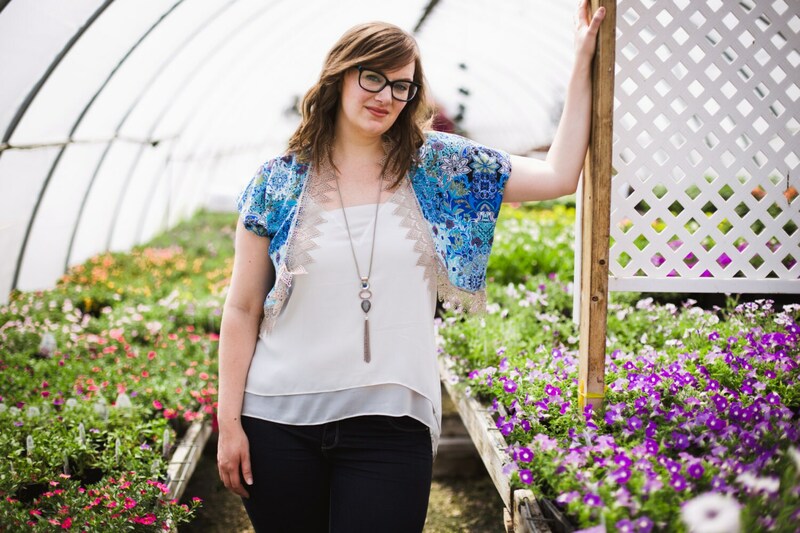 Introducing my new cropped kimono bolero! 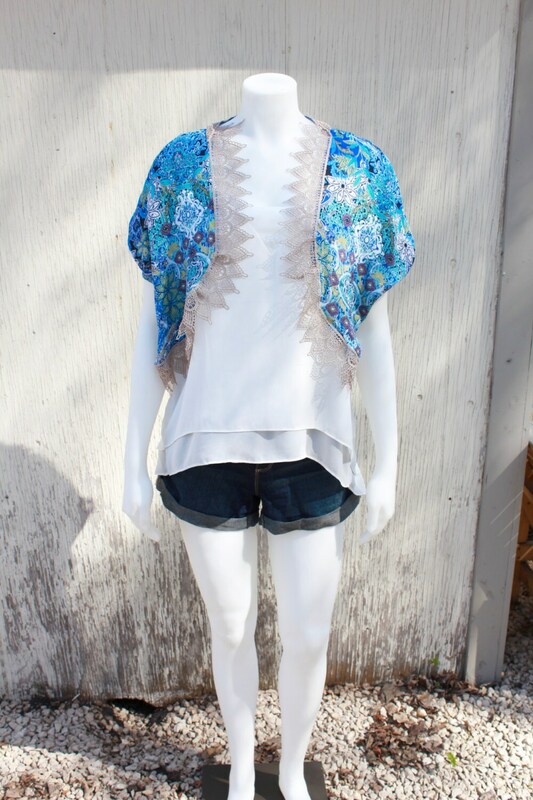 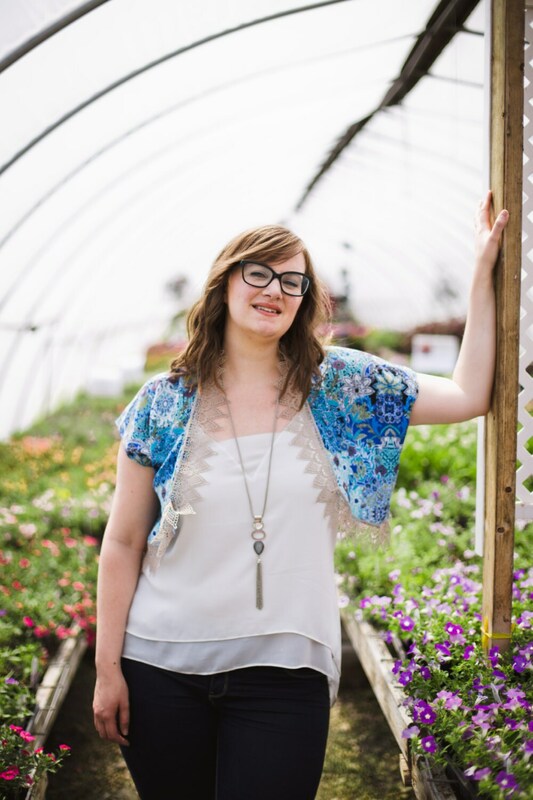 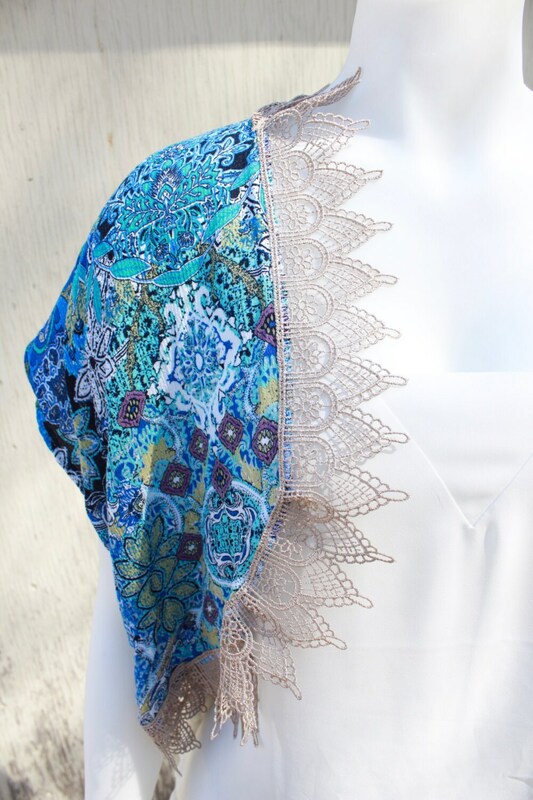 This blue shrug with lace trim is a beautiful Spring and Summer piece. 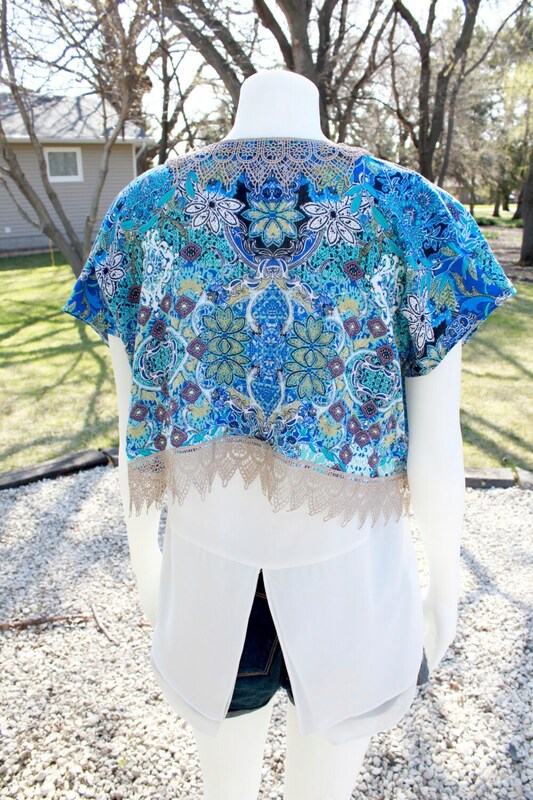 Add it to a tank top for a bit more coverage or wear with a dress to a Summer event! 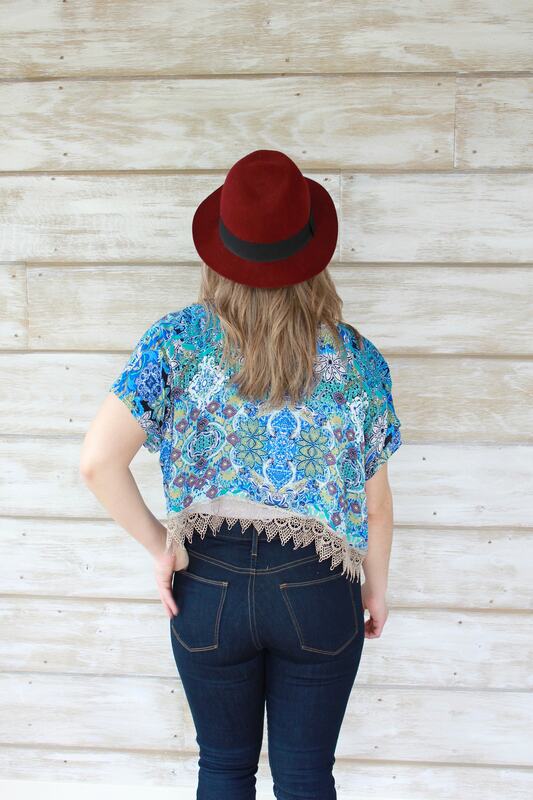 MEASUREMENTS: Shoulder to hem = 14" // Arm hole length = 8.5"